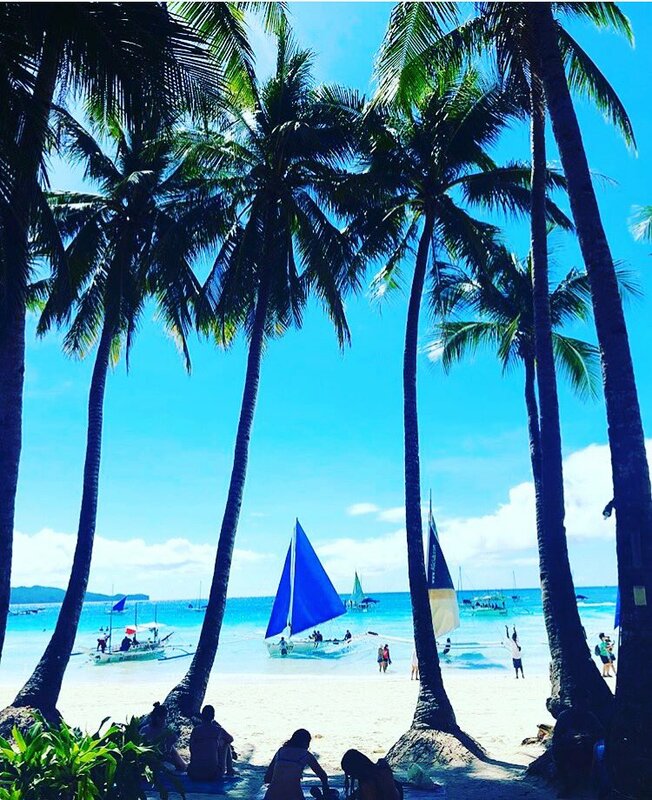 The once-pristine island of Boracay is now like Metro Manila with a beachfront property, according to Sen. Juan Miguel Zubiri, as the Senate investigates the environmental woes hounding the popular tourist destination. 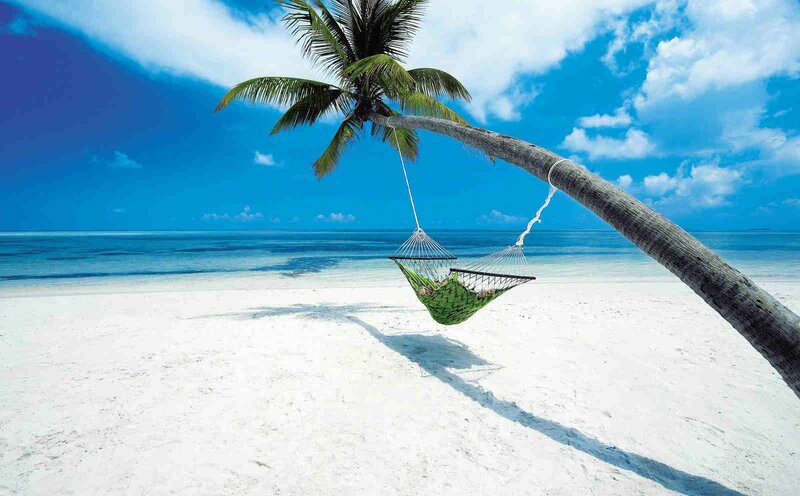 Boracay is an island that is part of the Municipality of Malay. And Malay is part of the Province of Aklan. We love to go to there to watch Boracay's beautiful sunset, walk along the shores til our foot gets numb, sip a mango shake, take a nap, and enjoy the island vibes at night, on this beautiful island. However, it is quite noticeable that the cleanliness in the island is degrading brought upon by several violations that are turning the once paradise-like environment into what the president Rodrigo Roa Duterte calls a cesspool. I believe him because he knows what a cesspool is ... His mouth. Seriously, Boracay is indeed at a crossroad due to over-commercialization, pollution, and overcrowding. The popular "Laboracay" season is a prime example when beach parties and many other activities crowd the shores, and we should also include the many campaigns like fun runs, clean-up drives, and similar crowd-enticing movements, guised as environment-saving efforts, but are also contributing to the problems instead of really helping the island but only gives publicity to the brands. Some 800 establishments on the island resort have different kinds of violations that the government intends to correct, said Department of Interior and Local Government (DILG) officer-in-charge Eduardo Año. The lax in enforcement of environmental laws in Boracay led to pollution and encroachment into beach area. Not all establishments are connected to the sewerage system. The Department of Environment and Natural Resources (DENR) should ensure compliance with the Clean Water Act. 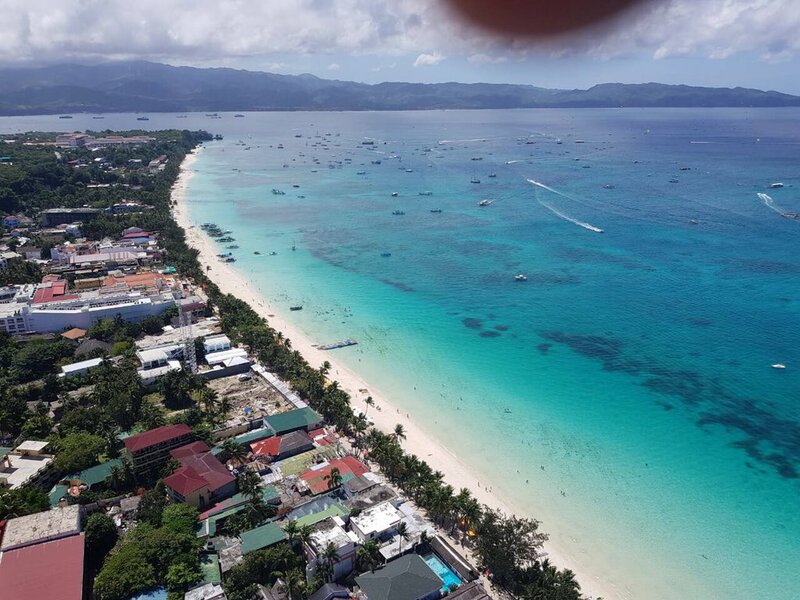 The DILG is eyeing to declare a six-month state of calamity in Boracay island to speed up rehabilitation and clean-up efforts. The tourism department eyes closing Boracay from July to October. But what is this we hear about a 60-day shutdown instead? Is it an effort to lessen unemployment time, or businesses already succeeding in influencing our officials? Also, the proposed selective shutdowns to only affect the violators will hust drive the tourists to get accommodations at the surviving ones, and would not totally make a big difference. Department of Tourism (DOT) Secretary Wanda Tulfo Teo says tourists who plan to visit Boracay during “Habagat days” will be diverted to other island destinations like Camiguin, Palawan, Cebu & Davao. The government is also set in evacuating 6,000 families illegally settling in Boracay. Five of Boracay's nine wetlands have been encroached upon by illegal settlers. But Boracay natives are saying "My 'home' needs saving but it doesn't have to be shut down." Sen. Joel Villanueva says closing down Boracay island is not the solution to its environmental degradation, considering thousands of workers who may lose their jobs. There are roughly 90,000 workers depending on tourism activities. Eventhough there are 834 establishments that release waste water but only 118 hold discharge permits, closing down one of the country's premiere tourist destination is not the answer. Villanueva together with senators Zubiri...plus Cynthia Villar, Nancy Binay, and Loren Legarda are now in Boracay to conduct Senate hearing on environmental issues hounding the island. They are joined by Secretary Teo and other cabinet secretaries, namely Justice Sec. Vitaliano Aguirre, DPWH Sec. 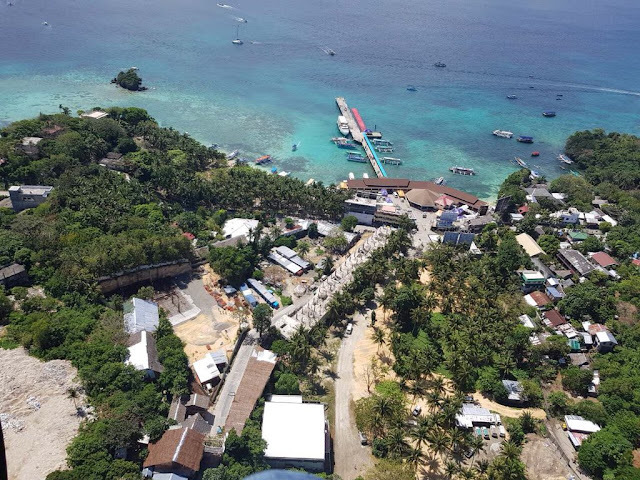 Mark Villar, and DILG OIC Eduardo Año, who have all agreed that an independent body that will handle the development of Boracay should be created following the environmental woes the island resort is now facing. “Kapag sa LGUs parang hindi na po talaga kaya. A national government body has to step in already. The creation of this authority will give us a masterplan" says Zubiri. Meanwhile, Sen Sonny Angara has called on government to ensure that employment assistance will be provided to workers that would be affected should the planned closure of Boracay businesses push through. The abuse is quite obvious but were mainly caused by the weak law enforcement, which is happening not only in Boracay but everywhere. 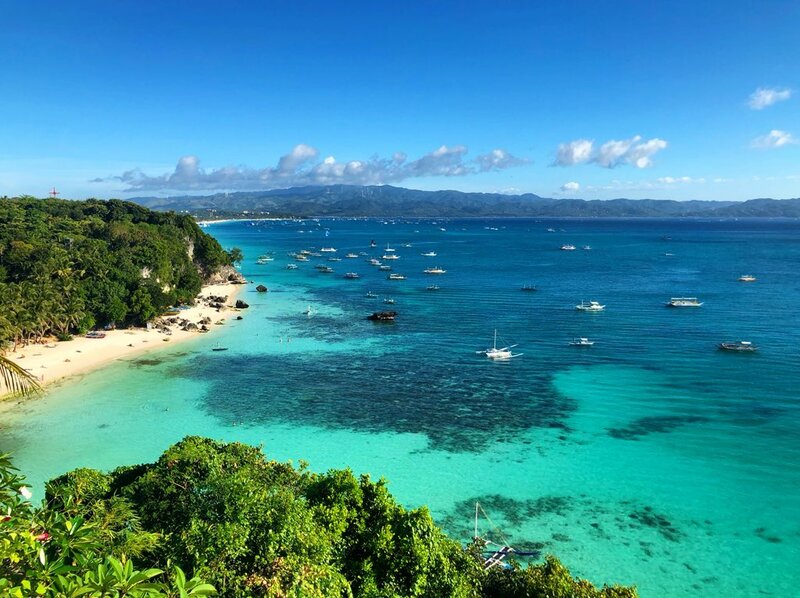 A JICA report warned us of the imminent loss of Boracay's natural beauty. But did we listen? The violations are everywhere that it is hard to imagine why it only took now before action is taken. DILG Officer-in-Charge Eduardo Año says the establishments, which have yet to be named, have violated laws and rules since 2001. Teo said that Boracay's tourism development plan was turned over from the DOT to the LGU in 1991. It seems the local government failed to keep the island as pristine as it was before due to the rise of commercialism. The government better push for sustainable tourism, not just aiming to hit target tourist numbers and revenues each year. There should be balance and no sacrifices. We may have increased the arrival of tourists but this rise is also causing the deplorable degradation of the island. These government officials who are responsible for Boracay island must be held accountable and must be sanctioned if they failed with their obligations. Come to think of it "Isn't Boracay environmental mess an indictment against federalism since its failure of local goernment?" but that is a different story. Thailand has been closing some beaches/islands as well to arrest environmental damage. I guess it is really up to the political will of the LGU, and the people in Malacanang, to effect 100% compliance. It’s sad that some of our local government officials are either corrupt, afraid of powerful people or just rely on orders given to them by their superiors. The scars we have left and gave to mother Earth is alarming. Let's overcome our greedy ways and save our only home. Unless we could already travel to other planets to occupy as our alternative homes, we should take caution with our actions that are endangering everyone of us. 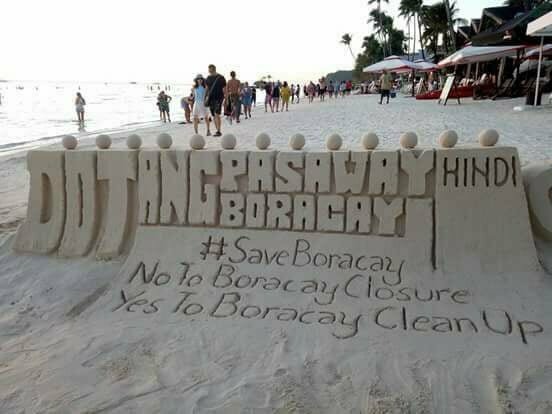 'So what if Boracay crackdown would cost P9.5 MILLION? It's a measly amount compared to P56 BILLION (yes, 'billions') the island earned in tourist receipts for 2017. The long term benefits of this crackdown CANNOT BE SIMPLY REDUCED IN PECUNIARY TERMS. It's way beyond that. "